Advanced Machinery Services has an elite team of machine rebuilders. 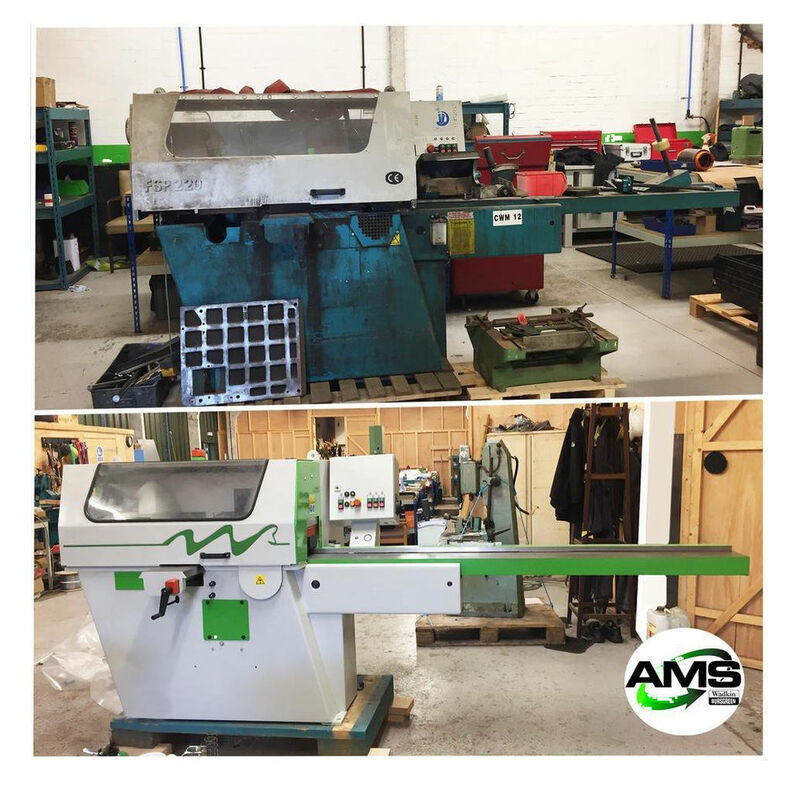 We specialise in rebuilds of Wadkin Moulders, Grinders and Classical Machinery. With our expertise, our brand new state-of-the-art facilities and testing equipment, our rebuilds are of a quality unrivalled by anyone in our industry and all of our rebuilds come with a full 12 months warranty. Many woodworking machines currently in use are no longer capable of delivering optimum performance due to worn or defective components attributable to many years of intensive use. To make matters worse such equipment is frequently in breach of current woodworking machine safety regulations and in particular The Provision and Use of Work Equipment Regulations 1998 (PUWER). Accordingly, we offer a comprehensive rebuilding and updating package which is second to none. Machines can be collected from site using our own specialist transport, rebuilt to a condition indistinguishable from new, updated with regard to guarding, braking systems, etc to enable them to comply with regulations and then returned, reinstalled and commissioned, often at a fraction of the cost of a new replacement. Indeed, new replacements are sometimes difficult or impossible to obtain, making this service even more useful in extending the life of equipment which may be of unique benefit to its user. Planing, straightening, thicknessing and moulding are all achieved in one pass on this model. Available as a four or five headed machine, the GD Range can be fitted with a universal head to allow for flexibily of output. Fitted with a 700mm diameter wheel and a 15 HP motor for deep ripping the PBR-HD can handle most heavy duty workshop applications. The powerfeed unit with infinitely variable speeds of 5-25m/min has spring loaded feed rollers to reduce the need to continually adjust feed unit positioning. Please feel free to contact us on 0844 844 9949 if you would like to discuss your requirements in detail. Alternatively, you can fill in our online contact form below.